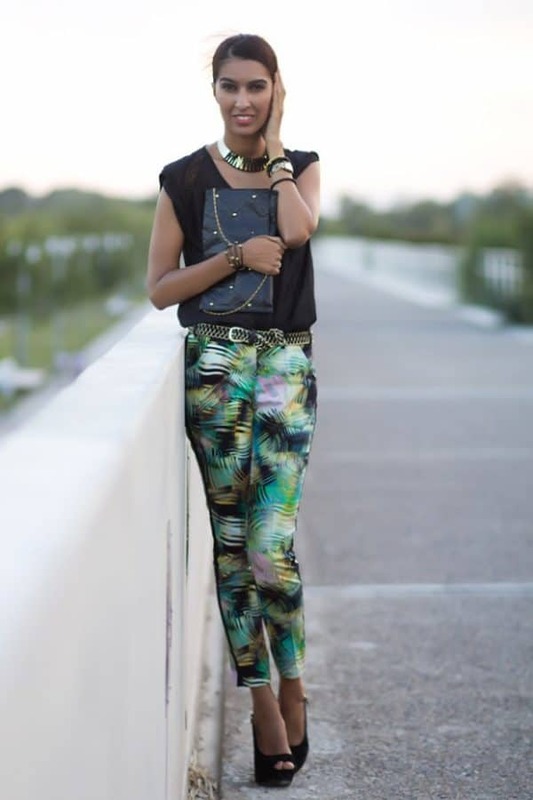 Prints make fashion more interesting cause they give us plenty of ways to combine them and have fun with them. 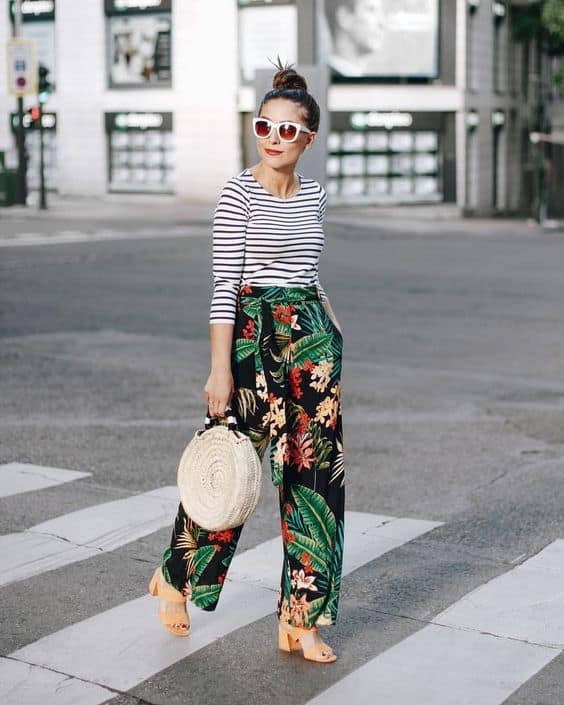 It’s summer and the tropical print is a huge trend, so here you will see some Stylish Tropical Print Outfits That Will Impress You. You are totally going to love these fashionable combinations due to their vibrant colors and the freshness they bring immediately. As soon as you notice a tropical print on a hot July afternoon you will feel refreshed and the pop of colors will enliven your spirits and make you want to visit a tropical destination really soon. Scroll down through the photos and see the beachy palms, the blooming flowers and the botanical leaves. 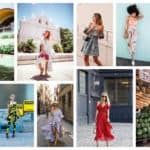 These outfits are not just for your next summer trip, so get inspired to make a stylish summer statement at the office, on your date or any summer party (and I believe that you will have them a lot). You have to be really careful when you combine two different prints cause you can either make your outfit a total success or a total failure. This striped blouse works great with the trousers in the playful tropical print! How do you like it? Having a light summer jacket is a must for the times when the temperatures drop, so choose yours in this wonderful print and combine it with the rest of your colorful clothes. I just love how it goes with this yellow skirt and white shirt. It’s super easy to make a statement with any of the clothing pieces in tropical print you choose, and you won’t find it hard to make some stunning combinations. Give this print a try if you haven’t done it already and see how you fall in love with it immediately. Here’s an outfit that is office appropriate. Wear it at work and see how your colleagues feel lazy and want to go on a vacation instead of spending their time at the office. 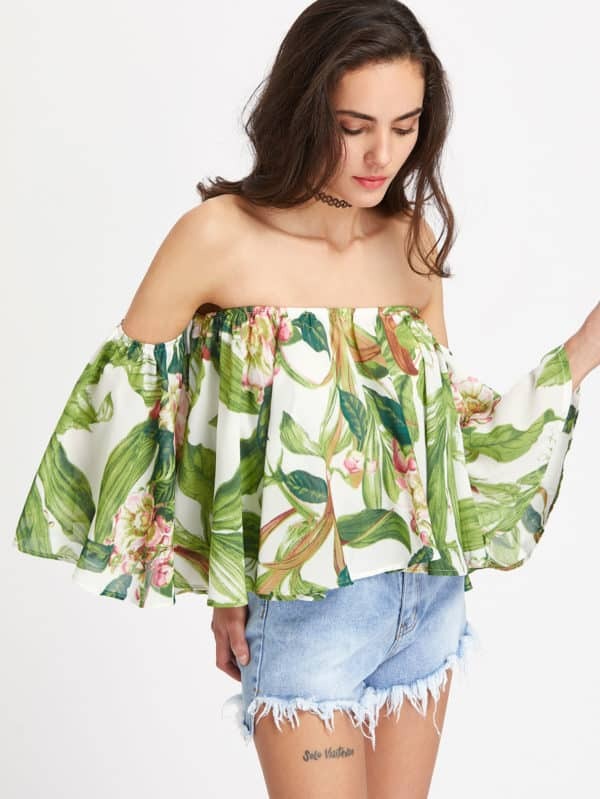 The off-shoulder shirt is really fancy and chic. Pair it with your denim shorts and you are ready to go! There isn’t anything more easy to combine than a romper in a tropical print. You just have to choose a monochromatic bag and shoes and you will have an awesome outfit in no time. Have we already got your imagination going? I think it’s time to invest in a tropical wardrobe this summer!